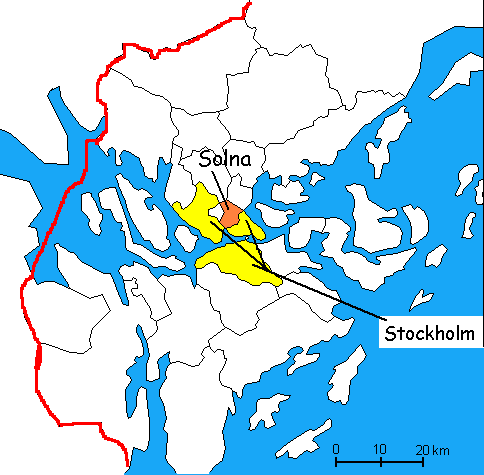 Solna Municipality (Swedish: Solna kommun or Solna stad, [²soːlna]) is a municipality in Stockholm County in south-east Sweden, located just north of the Stockholm City Centre. 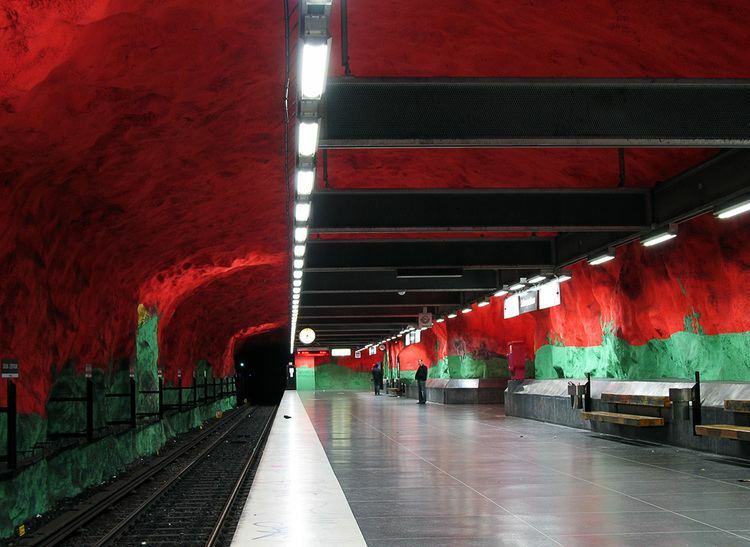 Its seat is located in the town of Solna, which is a part of the Stockholm urban area. 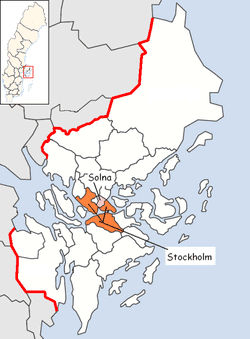 As with all 290 municipalities of Sweden, Solna has a municipal assembly (kommunfullmäktige), holding 61 members elected by proportional representation for a four-year term. An executive committee (kommunstyrelse) is appointed by its members. 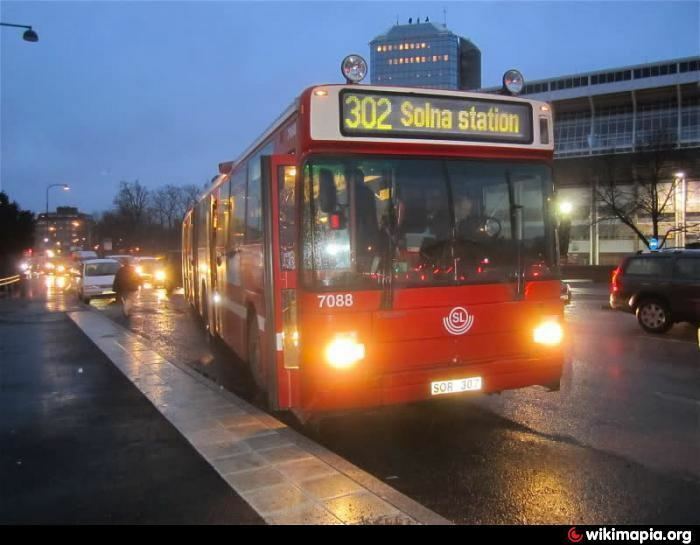 Solna is centrally located in Stockholm and is well served by the Stockholm public transport system with two commuter train stations and six Metro stations as well as a dense bus network run by SL. It was served by trams until 1959. Trams returned after 54 years of absence when Tvärbanan was extended from Alvik to Solna centrum. A further extension will be opened in 2014. Skanska has its head office in Solna. NextJet has its head office in Solna. 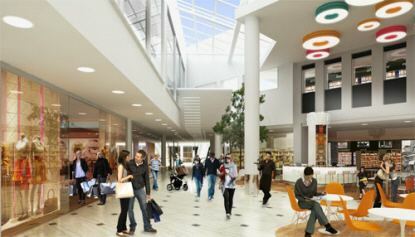 Mall of Scandinavia has opened in November 2015 and is located in Solna. 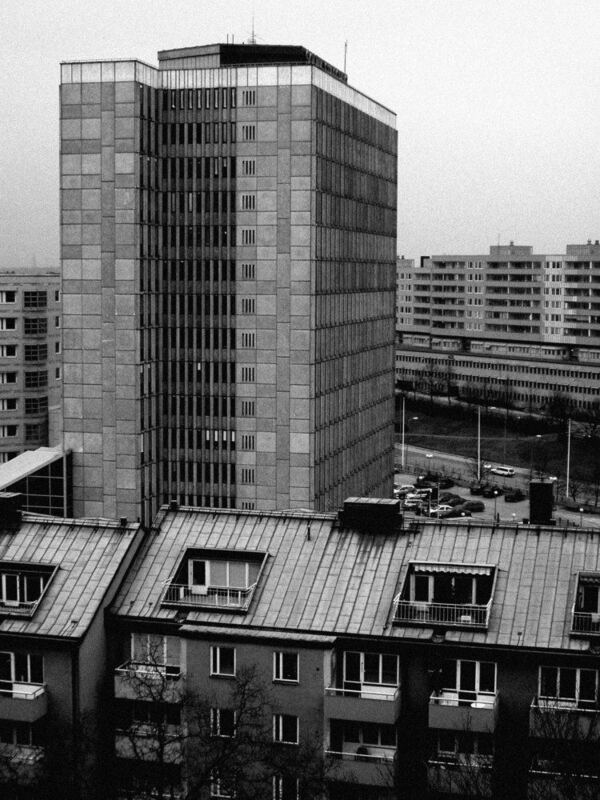 The head office of Scandinavian Airlines and SAS Group is located in Solna. The airline head office was formerly located on the property of Stockholm Arlanda Airport in Sigtuna Municipality, but now it is back in Solna. Haga Park, part of the Royal National City Park, was initiated by king Gustav III (1771–1792), planned and carried out in the English landscaping style. 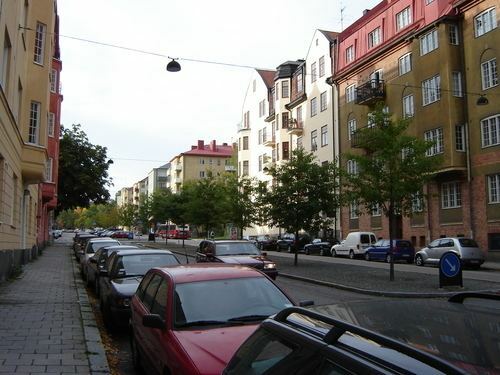 The city features three of Sweden's royal palaces. Friends Arena, the Swedish national arena of association football, and home of local football club AIK. The Solna Church was constructed in the 12th century. For defensive purposes, it was built as a round church, and is one of few of that kind in Sweden. Solna Gymnasium is the senior high school/sixth form college of Solna.